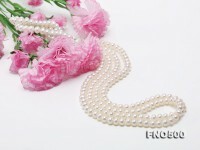 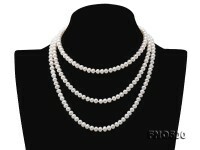 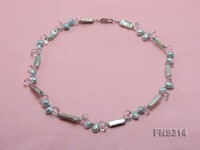 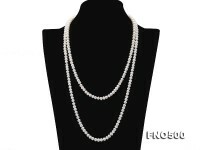 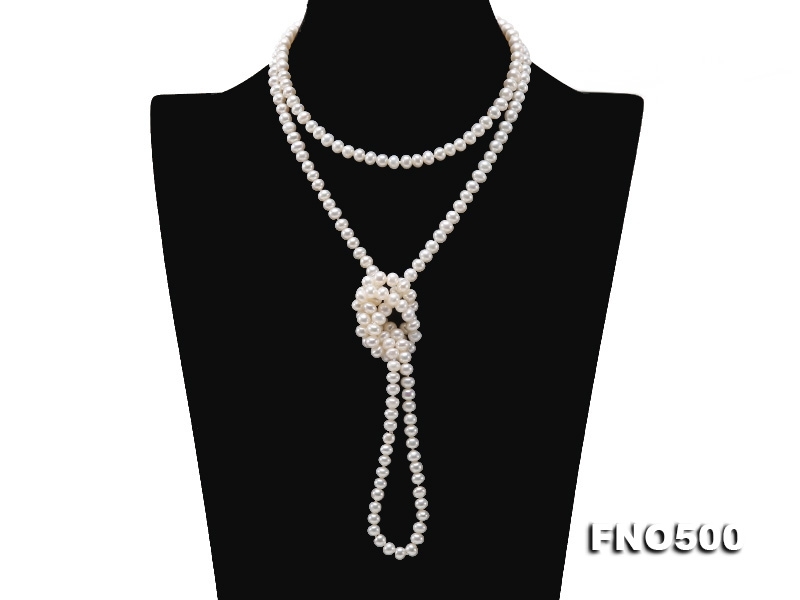 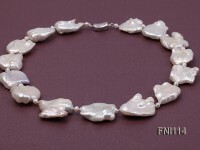 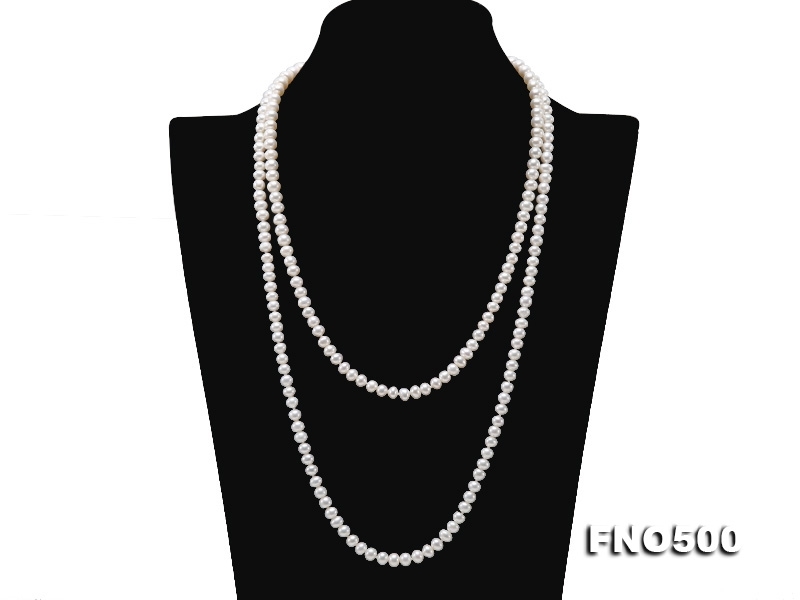 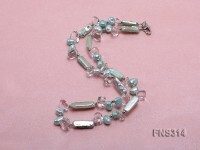 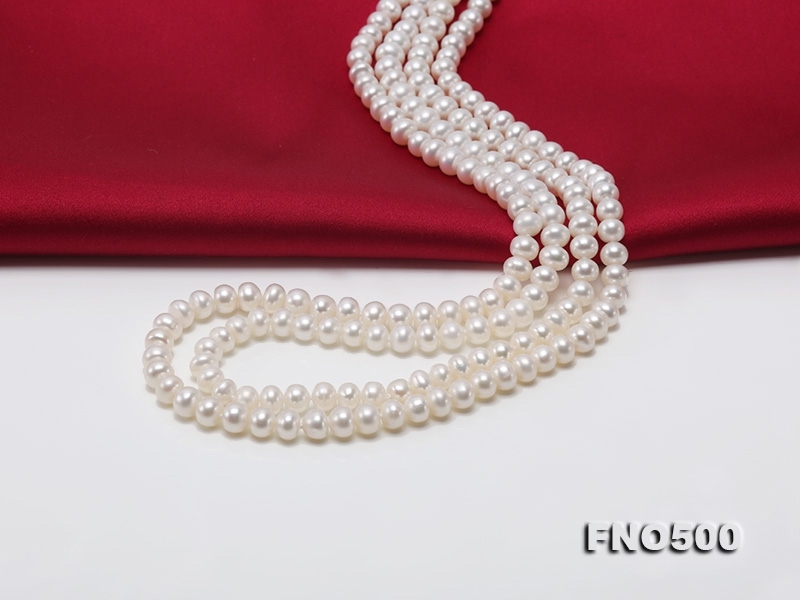 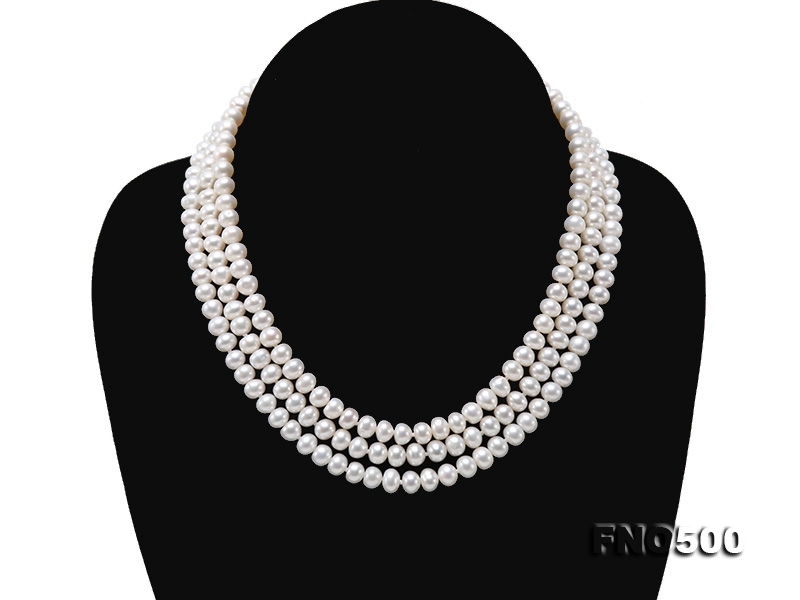 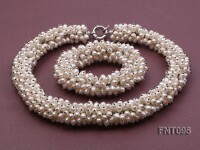 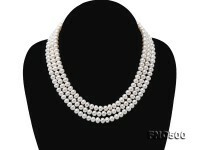 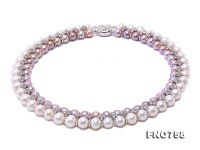 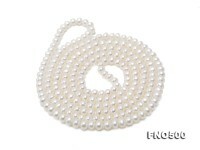 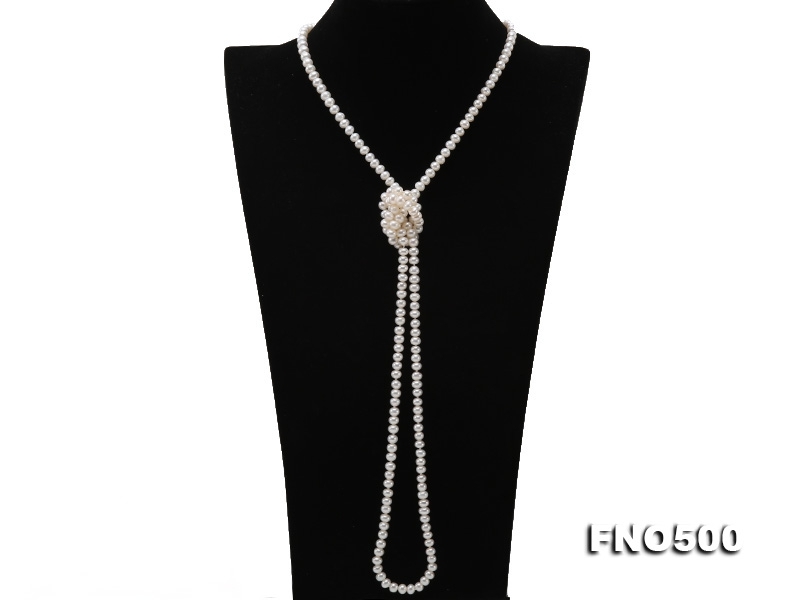 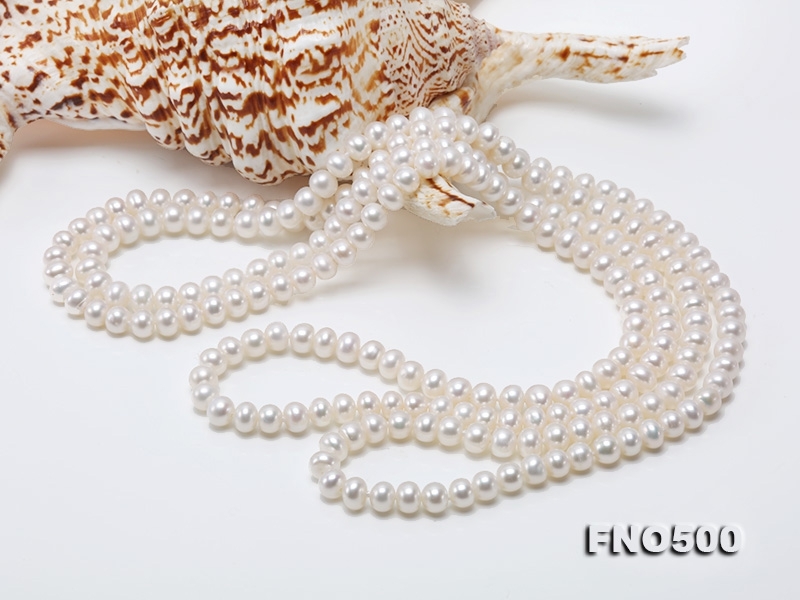 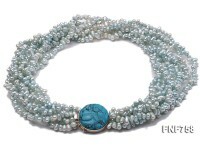 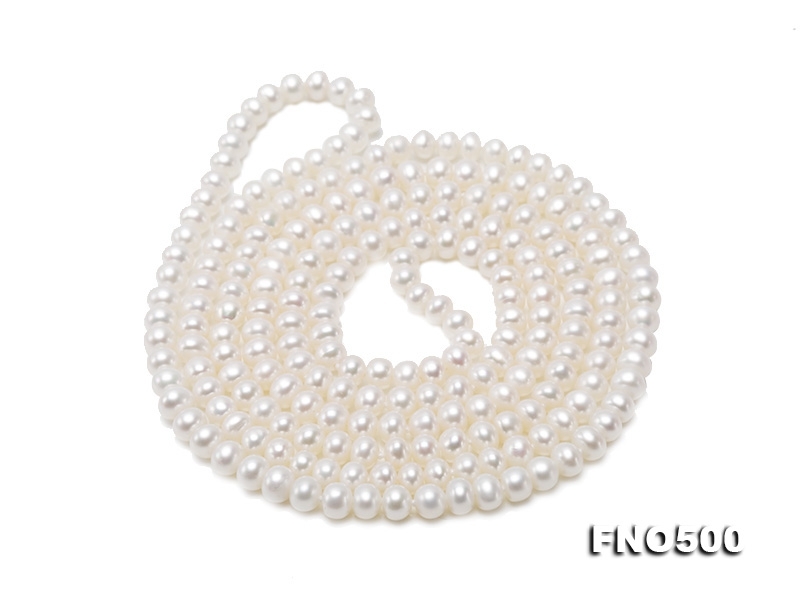 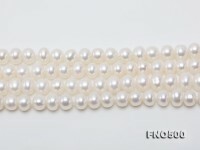 This is a classical white pearl long necklace made with 6-7mm flatly round freshwater pearls. 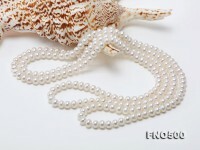 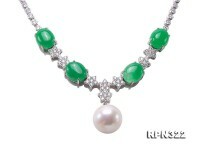 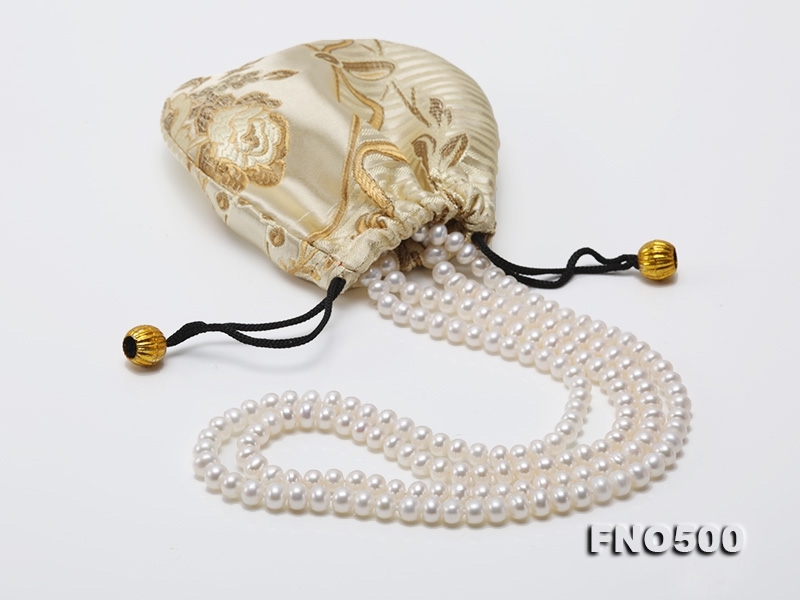 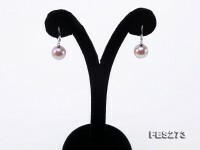 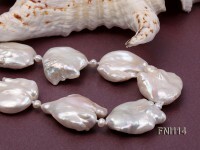 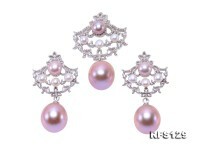 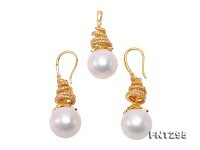 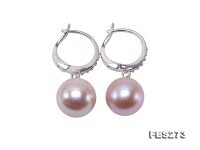 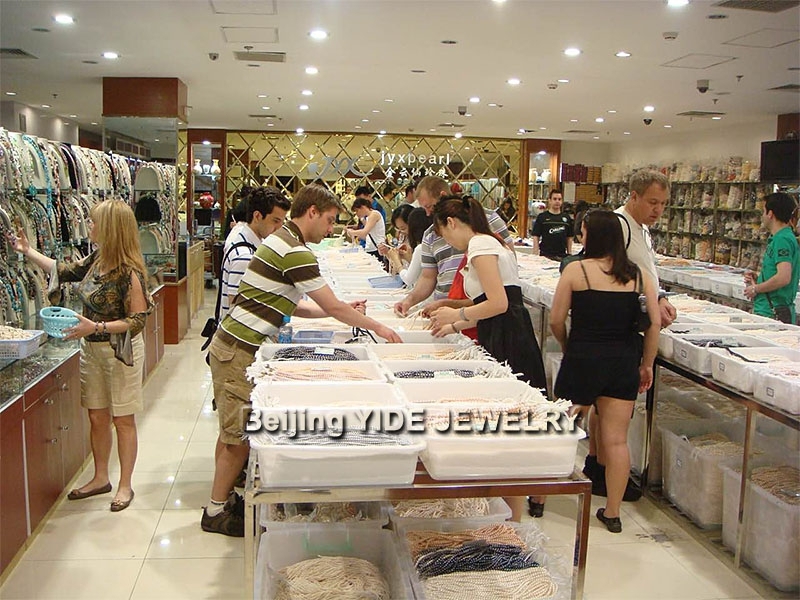 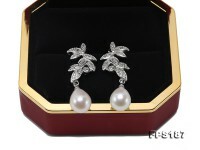 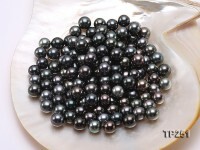 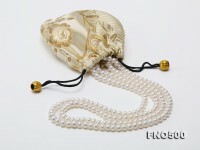 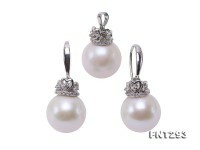 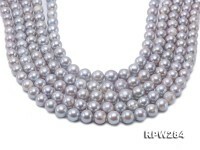 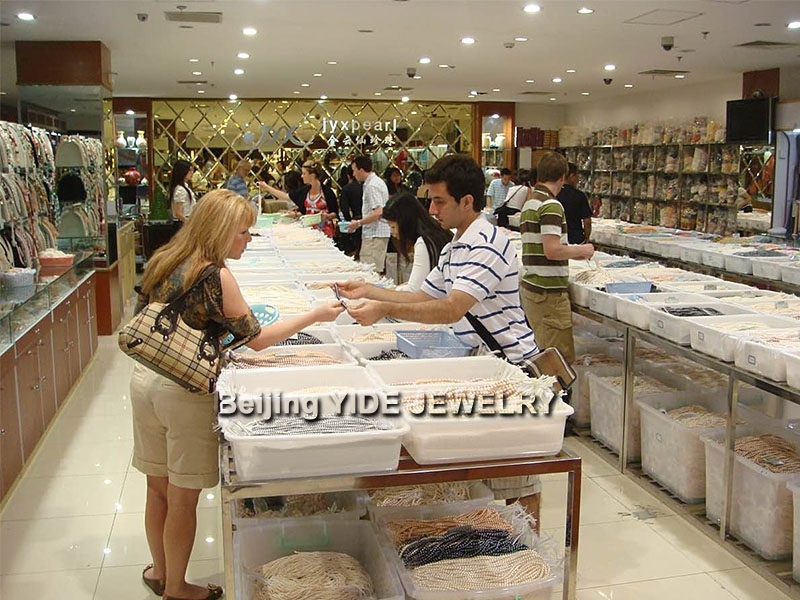 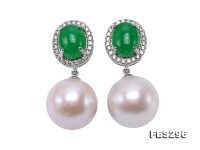 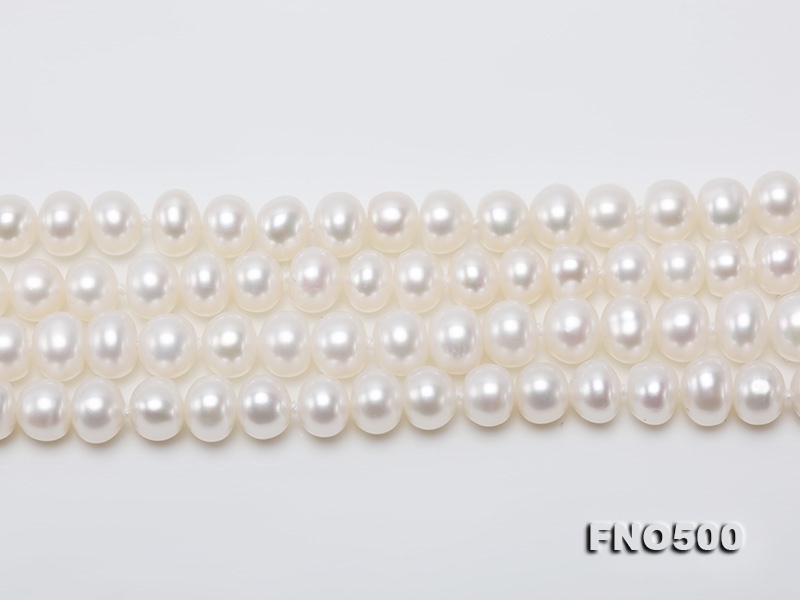 The pearls have symmetric shape, very few blemishes, and good lustre. 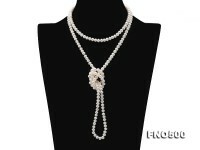 It can be worn in different ways, as one-strand, two-strand, three-strand,or just a casual knot. 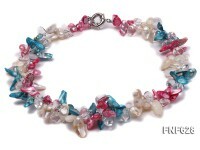 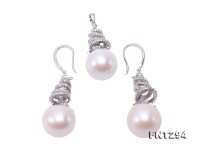 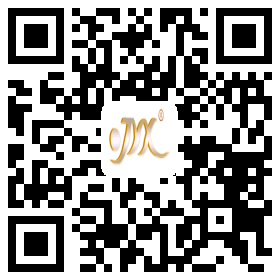 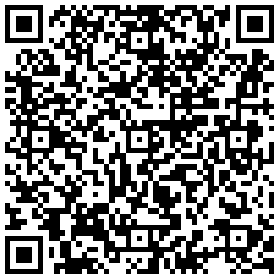 It is a high quality-price piece, very good choice either for self wearing or for gift.